Steve Shannon’s Unethical Ethics by Mark Fitzgibbons | Virginia Right! 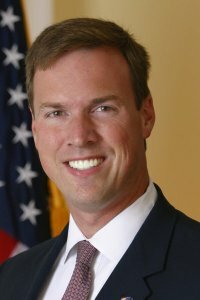 Democrat Steve Shannon, who couldn’t identify the divisions within the Office of Virginia Attorney General when campaigning for that office, used a donor incident to criticize Attorney General Ken Cuccinelli, and to propose an ethics panel (“Virginia’s ethical labyrinth,” The Virginia Pilot). Politicians are in hypocrisy overdrive when criticizing others about two things: fundraising and ethics. But I thank Mr. Shannon for opening the door for me. Mr. Cuccinelli received a substantial contribution from Bobby Thompson, the director of a charity called the U.S. Navy Veterans Association. The charity is now under investigation in several states for potential violations of what are called charitable solicitation laws. Mr. Shannon has not only already “convicted” Mr. Thompson of violating charitable solicitation registration law, he wants to pin multiple crimes against humanity on Ken Cuccinelli. Mr. Shannon would have us believe the contribution was made for favors, which is a very serious allegation. He and some of his fellow Democrats, however, have taken a page from President Obama, who destroyed the families of AIG employees by presuming the company and its executives guilty until proven innocent. AIG was recently proven innocent. All the while, Mr. Shannon’s fellow Democrats load their campaign coffers with money from the corporations they attack. Mr. Shannon attempts to link Mr. Thompson’s contribution to a bill — not introduced by Mr. Cuccinelli before he was elected Attorney General — that exempted veterans charities from registering under Virginia’s charitable solicitations law. Mr. Shannon also claims the contribution was related to a proposal by Mr. Cuccinelli to bring certain consumer regulatory affairs, such as charitable solicitation registration, into the attorney general’s office. Mr. Shannon’s article opens, “As a former prosecutor.” Well, given the unprofessional, partisan quality of his attempted smear, Virginians should be most pleased that he is a “former” prosecutor. Mr. Shannon, being unfamiliar with the divisions of the Virginia Office of the Attorney General, wouldn’t know that what Mr. Cuccinelli proposed is consistent with the structure of the attorney general offices in most states. Here’s a primer for Mr. Shannon and his friends. Forty-one states have charitable solicitation registration laws similar to Virginia’s. Virginia is one of only two states in which charitable solicitation registrations are administered by the Department of Agriculture. Mr. Cuccinelli’s proposal, therefore, is consistent with the majority of states. I deal with charitable registration laws daily. I’ve litigated about the constitutionality of those laws, and I fight abuses by state officials administering them. Personally, I would oppose a proposal by Mr. Cuccinelli to move charitable solicitation registrations to his office. I don’t believe the issuer of a license should also be the enforcer. However, the fact remains that most states are structured consistent with what Mr. Cuccinelli wants. What Mr. Shannon’s article doesn’t say, which bolsters my position, is that attorneys general who administer charitable registration laws include his fellow Democrats Richard Blumenthal, Jerry Brown, Martha Coakley and Lisa Madigan. All of them received grades of A or A+ from the corrupt nonprofit ACORN, and all of them have sights on higher offices. As to the exemption for registration by veterans charities, Mr. Shannon would have us believe that was quid pro quo. Some states, however, exempt veterans and other organizations. Long before Mr. Thompson’s charity sought exemption from the registration requirements, I and others involved with nonprofit fundraising and First Amendment rights urged that Virginia revoke its charitable registration law. The first conversation dates back eight years, and was mentioned to two of Mr. Cuccinelli’s predecessors in the attorney general’s office. That was based in part on the United States Supreme Court saying on four occasions in the past three decades that nonprofit fundraising communications are protected by the First Amendment. The exemption for veterans charities, therefore, is not a novel idea. Charitable solicitation registration laws divert a half billion dollars of donor contributions annually to compliance. They are constantly abused and even violated by offices that administer them. These laws act as prior restraints on, and licensing of, speech and press rights of nonprofit organizations. Charitable registration laws are ripe for abuse by government officials, which is why I believe they should be eliminated altogether, and replaced with an alternative. For example, North Carolina’s Democratic nominee for the U.S. Senate, Elaine Marshall, administers her state’s law as Secretary of State. Despite campaigning as an advocate for abused women and consumers, Ms. Marshall has posted on the Internet the residential addresses of registrants with her office. That’s a violation of privacy, and makes life easier for identity thieves. It also exposes victims of crime, battered women and others to their stalkers. The Virginia office that administers the law is among the best in the country. The trouble is, the current law makes it difficult for law-abiding charities, donors and law enforcement itself. Virginia’s statute, by the way, has a provision nearly identical to one declared unconstitutional on its face by the 10th Circuit Court of Appeals in litigation I conducted against Utah. Mr. Shannon’s attack on Ken Cuccinelli attempts to knit together some loose facts, but is based in ignorance. Meanwhile his fellow Democrats play crony politics with, of all things, the Bill of Rights, as exemplified by the unconstitutional federal DICLOSE Act they are pushing. To get this unconstitutional bill through, Democrats gave exemptions to big, powerful lobbies such as the NRA, AARP and Sierra Club. If Mr. Shannon were even close to sincere about fundraising ethics, he would need to criticize his own party first. President Obama has been one of, if not, the biggest beneficiaries of contributions from BP, Goldman Sachs and Fannie Mae. Mr. Cuccinelli sequestered the contributions from Mr. Thompson pending investigations of the Navy veterans charity. Mr. Obama has not done the same for the one million dollars in BP money, or any money from the businesses he’s charged with wrongdoing. Democrats have many other ethical conflicts with their fundraising. The top nine donors to the Democratic Congressional Campaign Committee, for example, gave the DCCC $50 million so far this election cycle. Who are these donors who exceed the legal limit for contributions to the DCCC of $30,400 per year? It’s Nancy Pelosi and eight of her Democratic colleagues in Congress. That’s the closest thing I’ve seen to a legalized money-laundering scheme. Mr. Cuccinelli has done what is consistent with the law and ethics. Mr. Shannon, in just another desperate attempt by the left to pin anything on Ken Cuccinelli — even when he’s 100% correct ethically and legally — isn’t being an honest broker of the facts or the law. But thanks, Mr. Shannon, for raising the issue of ethics and fundraising. Mark Fitzgibbons is president of corporate and legal affairs at a direct marketing and fundraising agency. Are you involved in fundraising for Bobby Thompson or the USNVA? If so how do you sleep at night knowing that you have committed serial fraud against the families and friends of the nation’s vets? Exactly what has Thompson been convicted of? Serial fraud? Could you point me to court documents showing a conviction? No? Perhaps you need to read this article before posting. I have read the article as well as the entire investigative series at the St Petersburg times and the more recent work done by the Roanoke Times. I have researched several articles on my own and spoken to some of the principals. After all of this I have come to the conclusion that Thompson and anyone raising funds for him probably belongs behind bars. You might try reading a bit yourself if you can remove your head from the sand that long. Shannon lost to Cuccinelli last November in his run for Va. Attorney General. Aside from the “sour grapes” aspect of this, Shannon has been making a number of accusations that Cuccinelli did something wrong by accepting donations from Thompson. A Quid Pro Quo. Mr. Fitzgibbons is simply point out how ridiculous and silly Shannon’s accusations really are. During one debate, the candidates were allowed to ask their opponent a question. Shannon was asked to name the Divisions within the AG’s office. He could not. This article is simply pointing out the scope of Shannon’s cluelessness and lack of understanding on this (and many other) issues. Again, the article is not about Thompson. It is about Shannon and Cuccinelli. And ethics. Thompson may be the dirt bag you claim, or he may be a saint. As far as I am aware, he has been convicted of nothing in connection with this Charity – yet. As a Navy Veteran, I believe the accusations against Thompson deserve a full investigation. And he deserves his day in court. And if he is convicted of wrongdoing, he will also receive the punishment the court deems appropriate. But this article is not about Thompson.